100% electric trucks from the BMW Group and the SCHERM group will be in service from today in Munich. 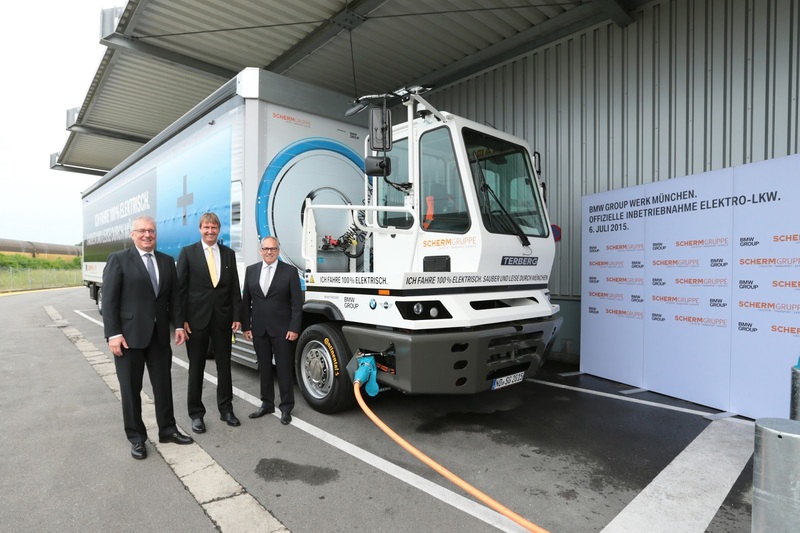 This means the BMW Group will be the first automobile manufacturer in Europe to use a 40-ton electric truck for material transport on public roads. It was launched at the BMW Group Plant in Munich by Bavaria’s Minister of Economic Affairs, Ilse Aigner. The electric 40-ton truck – a model from the Dutch manufacturer Terberg – has successfully completed its first test drives. On 7 July, the car will go into regular operation and travel eight times a day between the SCHERM group logistics centre and the BMW Group plant in Munich. It will transport different vehicle components, such as shock absorbers, springs and steering systems. 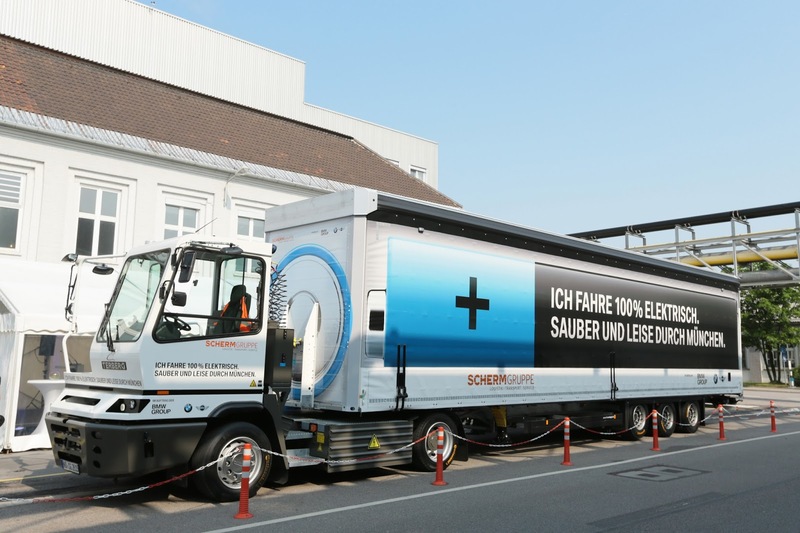 The electric truck by the BMW Group and the SCHERM group will be exclusively charged with electricity from renewable sources. The combination of this and the alternative driveline means the 40-ton truck helps the environment while it is on the road – it’s CO2-free, quiet and generates almost no fine particle pollution. Compared to a diesel engine truck, the electric truck will save 11.8 tons of CO2 annually. This is equivalent to the distance a BMW 320d Efficient Dynamics would travel when going around the world almost three times. The truck battery takes three to four hours to charge. When fully charged, the vehicle has a range of up to 100 kilometres. Thus, the electric truck can theoretically complete a full production day without any additional recharging. Hermann Bohrer, Head of the BMW Group Plant in Munich: “With our electric truck, we are sending another strong signal for sustainable urban mobility. We are contributing to reducing emissions in the city and are proud to be the first automotive manufacturer in Europe to use an electric truck of this size to transport materials on public roads.” Thus, the innovative truck is another valuable contribution to sustainable production. Urban mobility – and for the BMW Group this also includes urban logistics and transport — is a topic with great future potential. Since the end of 2013, the BMW i brand has been on the market. In addition, the company has launched its successful car-sharing programme DriveNow and established it in international cities. The BMW i3 vehicles are currently being introduced into the DriveNow fleets step by step.